Now you’ll know that I’m generally into contemporary and modern style, but I do appreciate all interior design styles and think this guest post today will appeal to those of you like the Country Cottage style. It can still be modern, no reason why not and the first paragraph does make a very good point. Enjoy! While many people like to give their homes a look that seems very reflective of the 21st century, there are many problems with cultivating a more futuristic look for a home. These include the fact that more modern visual styles tend to go out of fashion in ways that more traditional visual styles don’t. Hence, many people have instead opted to develop a traditional ‘country cottage’ look for their homes, including even recently-built homes. Here are just some of the best ways in which you could develop such a look for your home. A stove can be a great alternative to a modern fireplace, due to not only its more traditional look but also its relatively low running cost and high level of environmental friendliness. And just imagine the pleasant experience of pulling on socks and relaxing by the heat of a stove while sipping a mug of hot tea or chocolate! If you lack ideas for which stove you could buy, you could click here to view the latest stove ranges. One key aspect of making a house look nice is making sure that, aesthetically, different parts of it side-by-side match or complement, rather than clash with, each other. Hence, for the living room floor, you could team an earthy-hued carpet with a plaid wing chair, and in the bathroom, you could hang up a waterproof shower curtain alongside a linen tweed curtain. Both instances would certainly encourage a country cottage look. When you choose a theme for your home décor, such as shabby chic, you should ensure that it is at least consistent from room to room. Walls form a very big part of your house, so it makes sense to spend a lot of time making sure that they also conform to a pleasant country cottage look. You could, for example, create feature walls using quirky travel-design wallpaper. You could alternatively, of course, paint the walls, with warm shades being preferable if you want to make your house’s interior feel truly ‘down to earth’, welcoming and homely. 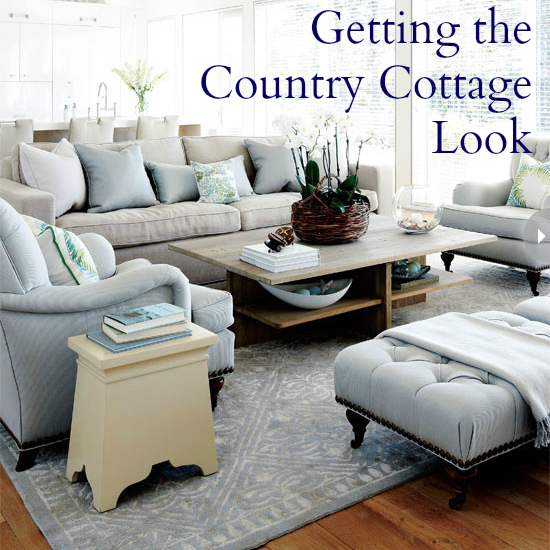 It has often been said that it is the little things that count; and, indeed, this mantra remains true when you are attempting to make a house look more like a country cottage. Finishing touches for this task could include using off-cuts of wallpaper to visually improve a lampshade and putting toiletries and other sundries in colourful striped drawstring bags to help to tidy up a bathroom.